Starmobile unveils it "K" phone with an astounding 18 megapixel BSI camera called the Starmobile Knight. 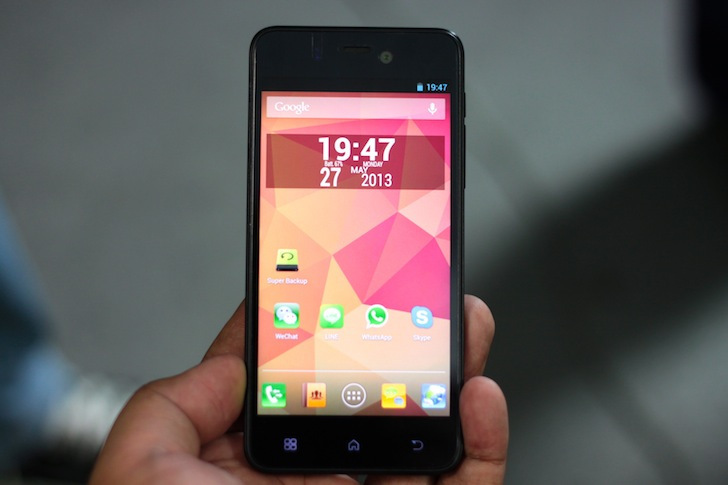 This rebranded i-mobile IQX also sports a 4.7-inch screen with 321 ppi, a gigabyte of RAM and 1.2 GHz quad-core CPU. Front panel also houses a front-facing 8MP camera, also with and its capacitive buttons. On sight, the Starmobile Knight looks like an enlarge iPhone 5 due to its design and side buttons. Out of the box, this monster will have the latest Android 4.2 Jelly Bean to run the whole show. No price has been flashed yet but the local vendor pegs its release on July. It is interesting to know how this device would fair to other flagships of local brands. Thoughts?